PPG-15 Stearyl Ether, Glycerin, Oxidized Polyethylene, Stearyl Alcohol, Cetyl Betaine, Salicylic Acid, Distearyldimonium Chloride, Sodium Lauryl Sulfate, Cetyl Alcohol, Alcohol, Steareth-2, Tocopheryl Acetate, Benzyl Salicylate, Carnosine, Limonene, Butylphenyl Methylpropional, Hexyl Cinnamal, Disodium. The Olay Regenerist Advanced Anti-Ageing Revitalising Skin Cream Cleanser (Rs 349/- for 100 gms) is a faint candy-colored and soft textured cream that has exfoliating beads packed lightly. The face wash does not lather, it cannot be used on painful acne – so I thought I had wasted my money when I used it the first couple of days. The scent was rather fruity – which I liked. The one thing that happened was my skin did not feel taut or stretched after using this and that is the one reason why I continued to use this product – almost on a daily basis. When I used this cleanser for a week at a stretch I realized it had actually made my skin more supple. The most immediate effect was that there was no post-wash stretching or dryness on the skin. 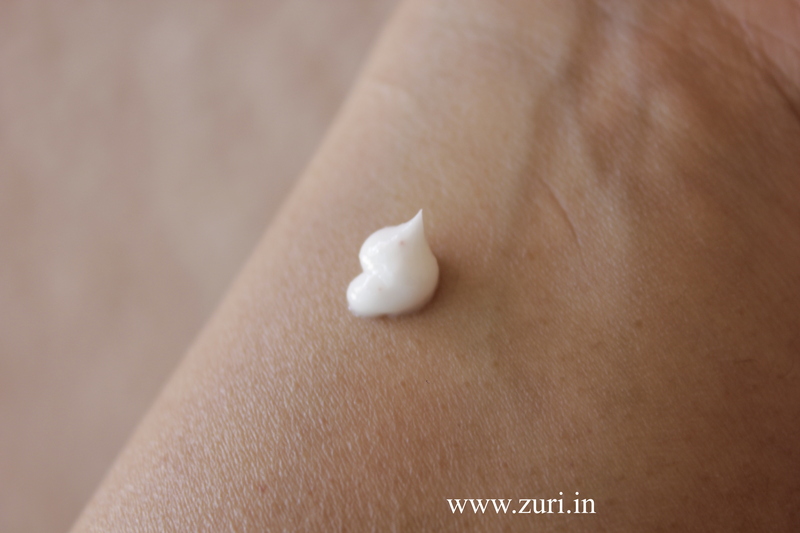 I was using less moisturizer – such a nice feeling in muggy summers – after cleansing with this product than I would after using a soapy face wash. So if you have dull skin resulting from dryness, this product comes in handy. It says it is meant for all skin types but I think it is more suited for normal to dry skin . My skin felt clean, sans the dryness. According to Olay, the Regenerist Cream Cleanser detoxifies and resurfaces your skin at the cellular level for the beautifully regenerated look of a mini-professional treatment. It deeply cleanses the body, exfoliates to detoxify, and conditions, leaving beautiful looking skin. Olay Regenerist offers advanced appearance correcting anti aging skin care products that help regenerate skin’s appearance without drastic measures. With Regenerist Cream Cleanser, over a period of say two weeks of regular use, the skin does appear ‘cleaner’ and definitely ‘rejuvenated’. It is almost like an express-spa at home. It is almost like rubbing some milk cream onto the skin. I would definitely suggest this product for those who have dry or mature skin, especially for winters. Doesn’t strip your skin off its natural oils and moisture and yet cleanses it perfectly. 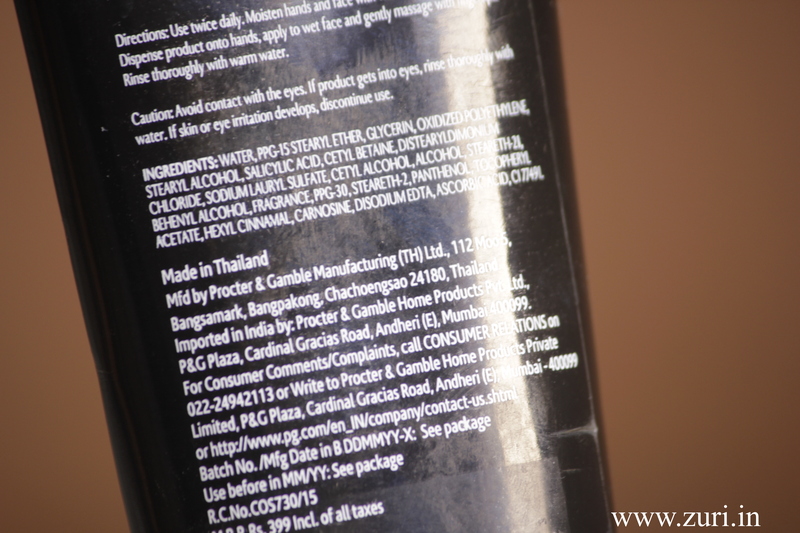 Does not lather – so the idea that it is a cleanser may need a little getting used to. Not suitable for all skin types.